Holds music books open flat on your music stand! Cleverly designed lyre shaped clip works well and is made of heavy gauge metal. Will not bend. 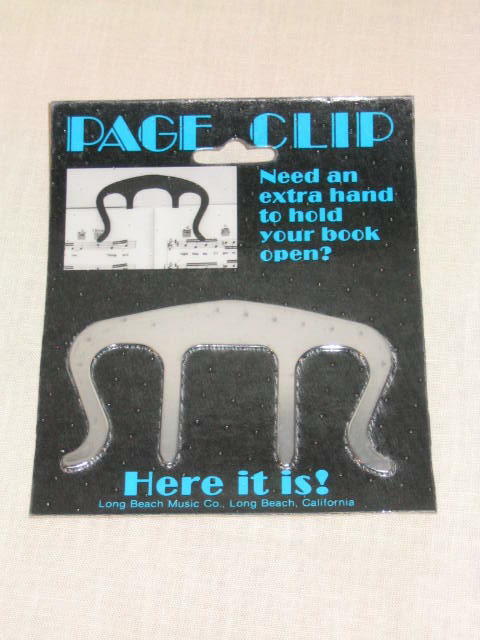 Clips only to the book, not your music stand. Easy to use, quickly put on and removed.